The announcement of the birth of the first child conceived using a technique to reduce the risk of inheriting a mitochondrial disease was unforeseen (1). The decision by the medical team from the New Hope Fertility Center in New York City to carry out the procedure in Mexico was deliberate as mitochondrial replacement therapy (MRT) is not prohibited or regulated there. This may change (2). Nonetheless, in any country regulation should be required to protect the interests of the child. The US and the UK have debated at length the safety and potential risks of two of the MRT techniques being currently investigated – that of maternal spindle transfer (MST) and pro-nuclear transfer (PNT) (3). Reproduction is regulated by state in the US, and so far none have given approval for MRT. In contrast, in February 2015 the UK became the first country in the world to pass legislation to regulate the procedure, and regulations came into force on 29 October 2015 (4). Clinics that wish to carry out this treatment will be able to apply to the Human Fertilisation and Embryology Authority (HFEA) to update their existing treatment licence. Several conditions need to be satisfied, including the completion of a report by a scientific panel on the safety and efficacy of the techniques. Once granted a licence to carry out PNT or MST treatment, the clinic will then be able to seek authorisation to undertake the treatment in the case of a particular patient. The licence committee will need to be satisfied that the condition within the application meets the statutory requirement that 'there is a significant risk that a child born with that abnormality will have, or will develop, a serious physical or mental disability, a serious illness or any other serious medical condition'. There is no statutory definition of what would constitute 'serious' yet, although this lack of definition is not unique to MRT and is debated for reproductive screening technologies, for example. An FDA-commissioned report on the ethical, social and policy considerations of MRT was issued by the Institute of Medicine of the National Academies of Sciences, Engineering, and Medicine in February, and this placed the emphasis on the health of the child as paramount (5). In contrast, the emphasis in the UK at times seems to have focused on the needs of the parents to have a healthy child. However, one of the most important aspects of the regulation of IVF treatment in the UK, and which is not often included in the debate, is the statutory requirement by the clinic to consider the welfare of the child to be created and his or her need for supportive parenting (6). Although no licence will be granted until the HFEA is satisfied that the technique is 'safe', there is no certainty. It will take a huge leap of faith for a clinic to offer the technique when it is unable to quantify the risks. The clinic will be sensitive to the possibility of unforeseen side effects of the treatment, and some of the side effects may not become evident until the child reaches adulthood. Subject to parental consent, until the child reaches the age of majority, the HFEA recommends that efforts be made to follow the child's progress after birth and monitor their health throughout life. If a clinic becomes aware that a child has been born with any disease, birth defect or genetic abnormality that may have been caused by the procedure, the clinic will be required by law to report this as an 'adverse incident'. When the clinic is considering the welfare of the child, it is also required to consider the need of that child for supportive parenting. It should refuse treatment if it concludes that any future child or existing child of the family is at risk of significant harm or neglect. It also needs to take into account current circumstances that might impact on the ability to care for the child, for example the physical condition of one or either of the parents. Which brings us to the issue of the health of the mother. The biological mother requiring MRT is trying to avoid passing on mitochondrial disease to future generations. She may have no symptoms or mild ones but, as mentioned above, the level of mutated mitochondria can change and symptoms can get significantly worse over a patient's lifetime. It needs to be considered whether the mother will still be capable of supporting the child as they grow. It would be regrettable if a healthy child born after the technique then had to support a mother with deteriorating health. As only a quarter of her mitochondria carried the mutation for Leigh syndrome, the mother of the child born in Mexico is well, but requests for help might come from those badly affected by mitochondrial disease or from those whose health will become progressively worse. HUMAN BEINGS SHOULD NOT BE CHANGED IN HEREDITY Now human beings are facing two major challenges: One is: human overpopulation in this world has over-used earth resources (air, water, plant field and ores, etc.) which should be kept on for human offspring using. Second is: Human beings will be changed in heredity greatly and easily by new artificial techniques, (such as A. mitochondrial replacement techniques (MRT) [for example: mitochondrial Augment Program by OvaSciences, which suggested artificially extracted mitochondria should be injected into every eggs to obtain human babies]; B. human sperm and oocytes produced from human stem cells; C. human gene(s) to be modified in human sperm, oocytes and embryos by gene CRISPR techniques; D. human cloning; … etc.,) which are all aimed at embryo transfer to produce sub-human being babies. John Zhang (New Hope Fertility Center in New York City) announced the birth of three parents’ child, which was really deliberate by John Zhang aimed as a “pioneer” similar to IVF and PGD. He exposed this point when he talked to the Chinese reporter. However, the key different point between MRT and IVF or PGD is: MRT changes human beings in heredity or in genetics, which did not naturally happen in human history; while IVF and PGD do not change human beings in heredity. The birth report by John Zhang and some related propaganda are misleading in human history of natural development. First, changing human beings in heredity to cure human disease for having a child is not scientific and not logical. Human beings is far, far away to that stage that the heredity should be changed for further survival. (No any patient should be treated individually as not belonging to the society of human beings.) If now we begun to change human beings in heredity as John Zhang and OvaScience suggested, human beings would really need to change the heredity for further survival in two or three centuries or much earlier, rather than over 1 million years. 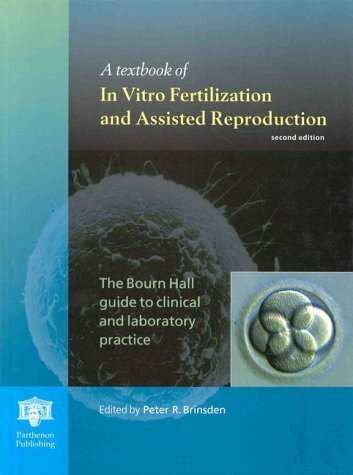 Thus John Zhang is short-sighted and OvaScience businessmen is disturbance in human reproductive medicine. Second, concept of science from Merriam-Webster online dictionary is: “Knowledge about or study of natural world based on facts learned through experiments and observation”. The birth report is not based on natural world, but to change natural human beings into artificial sub-human beings. Thus it is not a true science, but a pseudoscience. Human create science to serve human beings rather than to change human being. Third, patients have their dignity. Countries have their dignity. Human beings also have their dignity. Human dignity covers patient dignity and country dignity. Human dignity is the superior dignity than any other kinds of dignity. In human dignity, the natural heredity is the highest dignity of our human beings and is the cornerstone of human beings, which makes human beings to be different from animals. Thus, human heredity should not be manipulated as animal by pseudoscientists, no matter how safe or not safe, birth or five stillbirth. Human beings in heredity should be kept to be green as what we wish to keep the world to be, and should be much, much stricter. Fourth, severe gene mutation and chromosomal abnormalities in new born babies are about 1%. That is a natural phenomenon. Changing human being in heredity will not change this natural phenomenon, because new mutations and new chromosomal abnormalities will happen all the time. However, preimplantation genetic diagnoses and prenatal diagnoses can obviously reduce this percentage. Fifth, trend in the world changed: In last 400 years, industry and science developed fast, especially in recent 70 years. Antibiotics and other science greatly improve human life expectancy. Now human population is more than three times of that time of 70 years ago, and still going up. Artificial fertilizer and insecticide let us have enough food to eat; artificial cloth let us have enough clothes to wear; cars run in the cities and highway. In those years, “artificial” is a positive term and a strong trend. The birth of cloned sheep Dolly was the apex of “artificial”. Mitochondrial replacement techniques in human reproduction followed next year. People cheered. However, in a very short time, Dolly showed a lot of “reprogramed” problem. And the fact of MRT, which showed the human genes had been changed, exposed. Criticism about MRT began, which was recognized as “negative” in reproductive medicine at that time, because MRT is a “science”. Nevertheless, facts were relentless. A lot of true negative news about the word “artificial” reported in our daily life: Air is polluted by industrialization; Plant field turned hard by artificial fertilizer; Water and food is contaminated by insecticides; Men’s sperm count is going down by all kinds of artificial chemical substance. They showed that the earth is limited for resources. It has been out of the limit for natural recirculation and cleaning. “We want green (natural environment)” has suddenly become a popular and positive slogan in our lovely world in these 15 years opposite the last 400 years. The word “artificial” lost its luster, from positive meaning changing to negative meaning, which is replaced by the word “natural” or “green” as positive trend in a lot of fields of our daily life and in some field of reproductive medicine. People begin to realize MRT to change human beings in heredity is negative, because it crossed redline of normal and natural human Genetics, which will change our offspring forever. Sixth, using naïve and wrong British congress decision to challenge severe US FDA regulation is not appropriate, while an American physician even worked in Mexico and gave the report in US. No people believes US FDA is nothing when facing activities of anti-human heredity. Cooperated with US FDA and State Department, Chinese government has banned this kind of practice of changing human beings in China in 2003 since John Zhang’s first report of similar practice with a five-stillbirth crime in China. Further international cooperation and international regulations are needed for protecting human beings from being changed in heredity. Ke-Hui Cui M.D., Ph.D.